Thank you for your interest, before you consider becoming a backer it’s important to understand I am no longer regularly publishing new blog posts or podcasts. 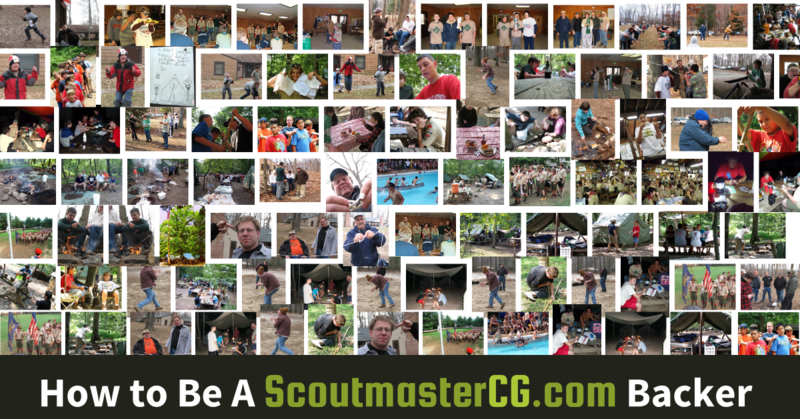 If the information, inspiration, and ideas offered by Scoutmastercg.com have helped you, help keep things up and running by making a one-time contribution. 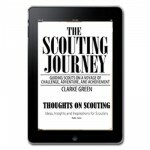 Receive a special Kindle Ebook edition of my book The Scouting Journey that includes Thoughts on Scouting. 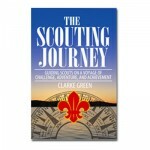 Receive an autographed copy of The Scouting Journey. 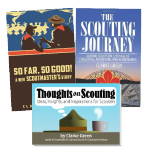 Receive autographed copy of Thoughts on Scouting. Receive autographed copies of So Far, So Good! 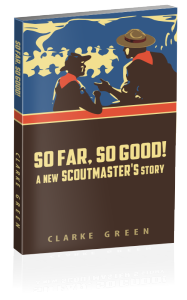 A new Scoutmaster’s Story, The Scouting Journey, and Thoughts on Scouting. Send a Backer payment without receiving a premium. To get multiple copies of any of my books at a discount go to this page. I am not sponsored by, nor do I have the endorsement of any Scouting Organization, this is an independent effort. Your backer payments supplement a modest amount of advertising revenue and that goes towards the growing expense of creating and maintaining this resource (much as a newspaper or magazine subscription pays a reporter and keeps the presses running). Backer payments are not tax-deductible! Your blog postings and podcasts are always helpful, but I really appreciate the personal attention that you have given me on several occasions over the last couple years. Your advice has always been spot-on. You’ve made me a kinder, gentler Scoutmaster and I’m sure my Scouts would be grateful to you for that. I wanted to take a moment to thank for you for all of the hard work that you put into enabling Scouts and Scouters. 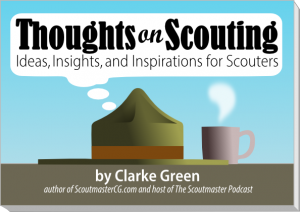 My Life Scout and I listen to your podcasts regularly and share what we learn with our Troop. Several of the other boys and parents have started tuning in. Guidance and encouragement from people like you are exactly what I needed as a new Scoutmaster. Your “So Far, So Good” publication made me feel less alone while trying to convince people that this was the way it was meant to be. Your PDF resources frequently find their way into my training sessions (both Youth and Adult) and district roundtable sessions. I am pleased to report that in 2 short years of youth leadership, the Troop is doing very well. They’ve grown from 5 to almost 40; including many Scouts who had previously left other programs and found renewed passion for Scouting with us. They plan and execute their own meetings, outings, courts of honor, service projects and even gather information and book event sites. They greet Webelos and welcome them into the Troop at Blue and Gold events and give me plenty of time on my rocking chair at the back of the room. They recently elected a 12 year old as their SPL; the boy MCed a spectacular Eagle Court of Honor for one of his peers today. I could not be more proud of these guys. The concept has bled over into the Pack where Den Chiefs routinely lead lesson plans, manage activities and promote the idea that boys have a say in deciding their path. Denners are common place, the kids are having more fun and retention has never been higher. Recruiting adult leadership is much easier when they see that they have experienced Scouts ready to assist (and guide them as needed). If that wasn’t enough, we’ve even spawned a Venturing crew. Young Men and Women quickly filled the leadership ranks and took charge of their unit. I’ve witnessed tremendous grown within those Scouts in 6 short months as a result. Imagine that … Boys who’ve been Eagles for 4-5 years, still active and supporting the next generation of Scouts. Girls, some new Scouting, some with Silver and Gold awards, getting involved, taking on leadership roles and having an absolute blast. Thank you Sir, I cannot express how much I appreciate what you’ve done for me. I just wanted to tell you that after months of procrastination I became a backer today. I wanted to share with you why. About 18 months ago, I became the Advancement chair for our District. I was fortunate to have attended Philmont Training Center last summer, which, by the way is where I learned of your website and podcast. Taking that training opened my eyes to a lot of false "tribal knowledge" that substitutes for a lot the training our people get. I learned to rely on the Guide to Advancement almost exclusively as the 2013 version is much better than previous versions in helping to explain the program. I started listening to your podcast right after that and haven't missed one yet. Each time I do, it allows me to relive my Philmont experience renew my newfound understanding of the advancement program as a part of the overall program. Once I heard about your backer program, it took me no time to decide to support it. I have been an avid listener since day one, I might not be one that contribute a lot but I do get a lot of "Super Fantastic"(a New Hampshire Boy Scout camp word of the day) advice from one scouter with a lot of experience... you make a difference for people like me that are, as you say it so well, jumping in this thing called the VOLCANO. “I was excited to see the details on your new book and the new backer program, and I was quick to sign up. I’ve been listening to your podcast since the beginning and reading your blog longer than that! All all the accumulated years of listening to your podcast and reading your blog is going to prove invaluable as I move into my next phase as a Scouter.